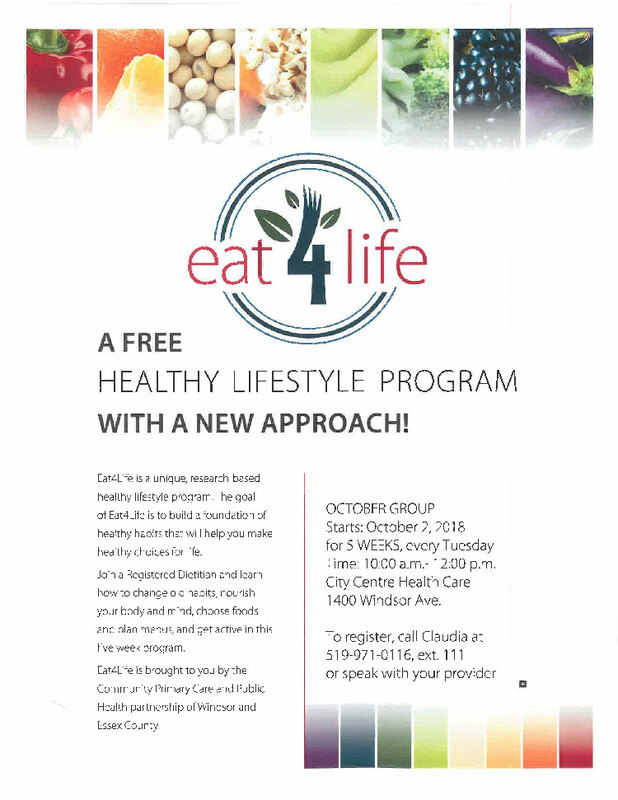 Eat4Life is a unique, research-based healthy lifestyle program. The goal of Eat4Life is to build a foundation of healthy habits that will help you make healthy choices for life. Join a Registered Dietitian and learn how to change old habits, nourish your body and mind, choose foods and plan menus, and get active in this five week program. Eat4Life is brought to you by the Community Primary Care and Public Health partnership of Windsor and Essex County.